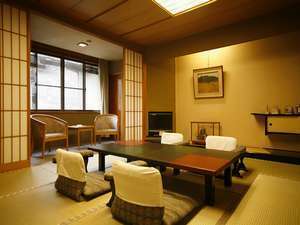 Kinosaki Onsen's founding hot spring inn. 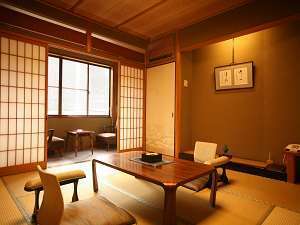 Composed of tradition, hot springs, and wooden structures creating the theme of a Grand Old Wooden Inn. 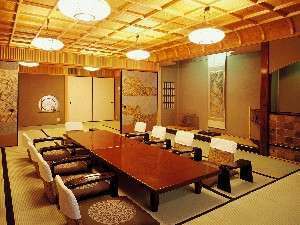 The room is built after a Japanese-tea ceremony room. Step out onto the veranda for a more spacious feel. *Choice of rooms is not given. There is a larger room available for groups of 10. Meals are served in your room or in the dinning hall.